Almost two weeks have passed since the beginning of the equity crowdfunding campaign on Mamacrowd and we decided to do a little summary giving you some numbers in the working progress. Felfil opened successfully in the past a crowdfunding campaign on Kickstarter (which has collected 45,000 euros with 102 extruders foreordained from all over the world) and a preorder on Indiegogo (which were sold 23 extruders, a superior result to the average of other products offered by the platform) that have allowed us to validate the product on the market. 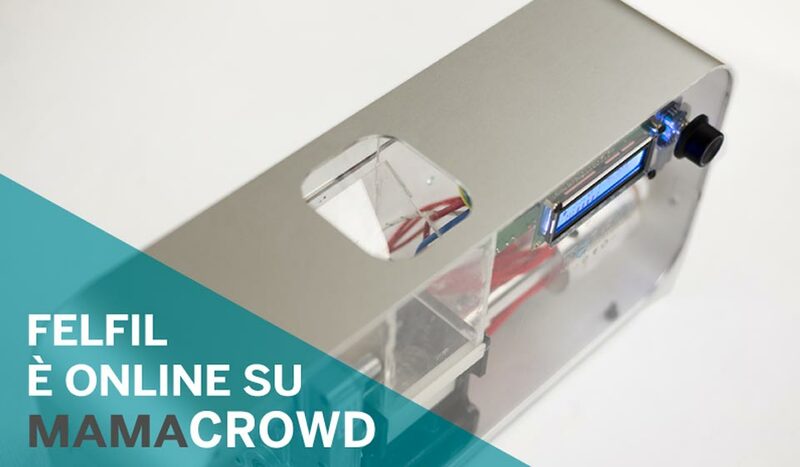 17: On November 17th Felfil Srl started the Equity Crowdfunding campaign on Mamacrowd platform of Siamosoci. We talk about “equity-based crowdfunding” when using the on-line investment, you buy a real way of participation in a company: as we had already written in one of the last blogpost, in which case the “reward” for the funding is by complex economic and administrative rights arising from participation in the enterprise. 13: The company shares made available to the Equity represents 13% of the company. 29 : Today, 29 November, we have already collected around 15,000 euros of investments. 20: The figure raising in these two weeks represents 20% of the minimum collection target. 78: The campaign will continue for 78 days, Investment is open to anyone resident in Italy. 7: This is the most important point. 7 are investors who until now have believed in our company and in our project. So thanks to Andrea, Massimo, Pasquale, Roberto, Filippo, Mario and Claudio to believe in our cyclical viewing and ecological 3D printing. The campaign is open on the portal of Mamacrwod and you can find at this address.